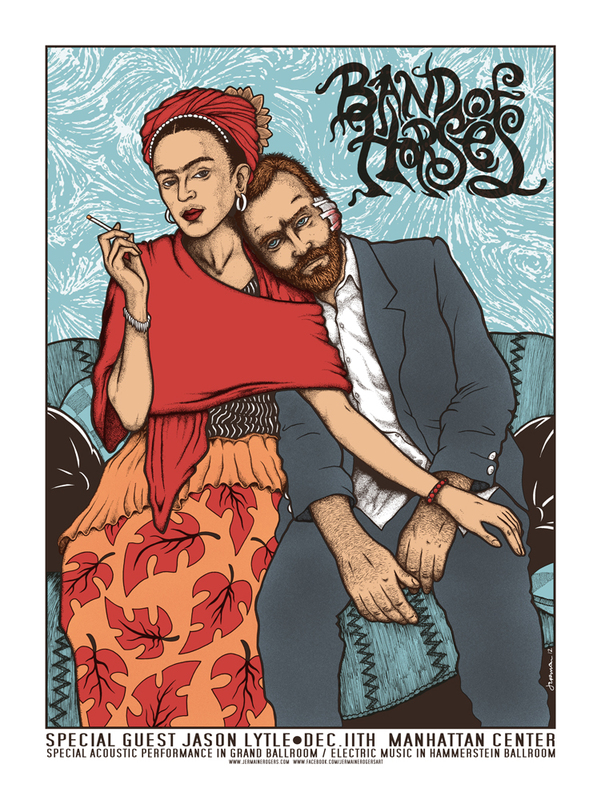 Jermaine was commissioned by Band Of Horses to create a special print for their big Dec. show in New York City on Dec. 11th, 2012. 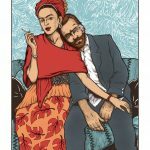 The print sports the now classic imagery of Frida Kahlo and Vincent VanGogh, and it is very sought after. Masterfully printed by the mechanical hands of Isaac Menge and his team at Lady Lazarus Press, & features a variety of lovely inks. ORANGE CREAM variant – This rare print measures approx. 31×23 inches, printed on French Orange Cream gallery stock, from a signed and numbered edition of only 40. Holographic LASER RAY FOIL variant – This rare print measures approx. 30.5 x 22.5 inches, printed on holographic Laser Ray Foil stock, from a signed and numbered edition of only 40. 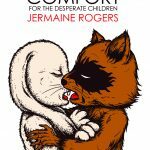 Signup to receive the JermaineRogers.com newsletter! Any attempt to use imagery herein without written permission from JermaineRogers.com constitutes theft. 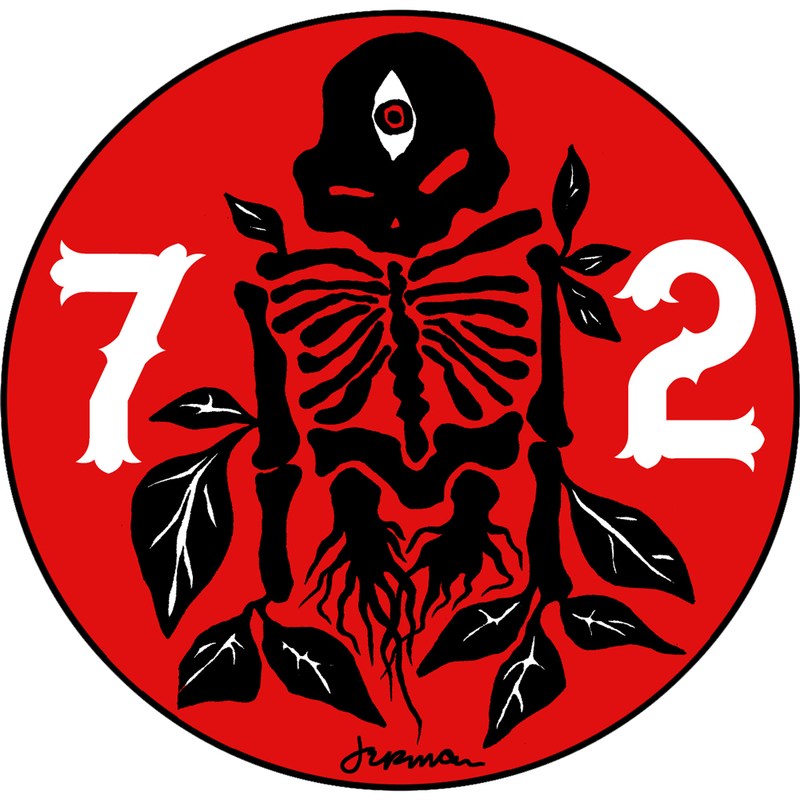 All images copyrighted 'JermaineRogers.com' 1994-2018 JermaineRogers.com is not a cult.